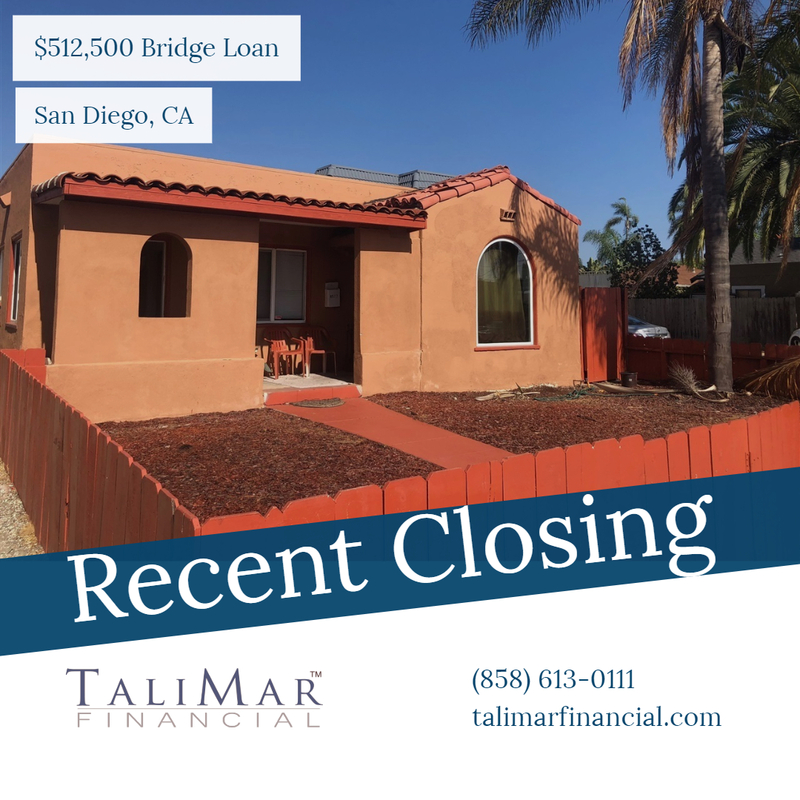 San Diego, CA – TaliMar Financial is pleased to announce its most recent funding of a $512,500 bridge loan secured on a single family home located in San Diego, CA. The Borrower intends to obtain approval to build a 4-unit condominium project on the site. Once the Borrower receives approval, they will either refinance the loan with a construction loan or sell the property with the building plans. TaliMar Financial is a hard money lender that specializes in funding fix & flip, construction and bridge loans within 5 business days and offer aggressive financing options. For more information on TaliMar Financial and our hard money lending programs, please contact Brock VandenBerg at (858) 201-3428 or visit us online at www.talimarfinancial.com.